22 Jan. to 09 March. 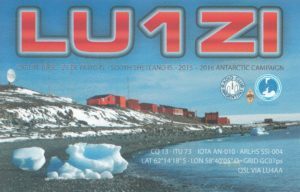 2017 Carlini Station WAP ARG-2Ø and Camara LH WAP ARG-LH-ØØ2 (ARLHS SSI-004). 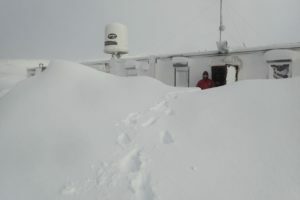 Carlini is a permanent Antarctic Scientific Station, located at 25 de Mayo Is. (aka King George Is. ), in the South Shetland Islands. It is operated and administrated by the National Antarctic Division (DNA) of the Foreing Affairs Ministry of Argentina. The Argentinean Antarctic Institute (IAA) develops and supervises all scientific programs. The base was established on February 12th 1982 under its former name, Estación Científica Teniente Jubany, after the primary shelter built in 1953. At Potter Cove, near the base, are located the Albatros and Elephant Refuges; both depend on Carlini Base. Three Brothers Hill (210 m), Yámana nunatak and Fourcade glacier can be seen from the base. Climate at South Shetland is a little less tough than the rest of the Antarctica. In summer temperatures are around -2°C and 3°C; and in winter are between -10°C and -20°C. 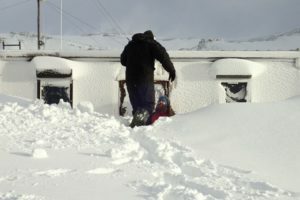 In 2007, a temperature of -26ºC was registered. You can see a picture of Carlini at Google Earth, coordinates 62°14′18″S 58°40′05″W. Francisco de Gurruchaga Antarctic Refuge (62°14′ 03″ South, 59°10′ 02″ West) built on Dec. 15, 1954 is placed in Harmony Point, Nelson Island, South Shetland Island. The administration depends on the Argentinian Naval Army. Proposed by Argentina, this area was originally designated as Site of Special Scientific Interest No. 14 under Antarctic ATCM Recommendation XIII-8 (1985), because the Area is an excellent example of the maritime Antarctic communities of birds and land ecosystems present in South Shetland Islands, making possibilities to carry out long-term research programs without damage or harmful interference. Antarctic Refuges are facilities open to all countries, to be used in emergencies or to support activities in the field. They are equipped with provisions, fuel, generators and communications equipment, accommodation facilities and other logistics. Albatros refuge (62°15′ 09” South 58°39′ 23″ West) depends to Carlini Base; it is located on Potter Peninsula at 3 km from the Base . The shelter houses analogue/digital VHF repeater with a coverage of more than 35km. Powered by solar energy provides telecommunication support to all scientific and logistic personnel in the field, allowing the geolocation in real time. 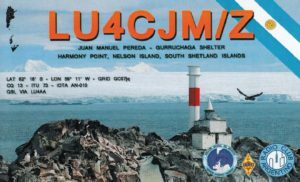 Thanks to Juan Manuel Pereda, LU4CJM/Z for his great operation and thanks to LU4AA (Radio Club Argentino) for such a nice QSL cards just received and the excellent QSL Service. Plans appear to be melding together for a Maritime Mobile Expedition to the shores of Antarctica in February 2018. John Landrigan KA4RXP wrote: Many thanks to those of you that took time to respond or comment on my upcoming Maritime Mobile visit to McMurdo Station next February. 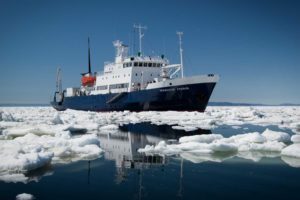 I’ll be communicating with Heritage Expeditions and both the owner and operations manager of the M/V Enderby about antenna and radio equipment installation aboard the ship. I spoke with Bob Hardie at Expert Linears America and was overwhelmed with his enthusiasm about the SPE line of solid state amps (www.ExpertLinears.com). He offered me the SPE 1.3 Amp for a brother in law price and I will see him at the Huntsville Ham Fest this Saturday. I am expecting to let anyone who will listen know that this amp is why they are hearing me. Bob Hardie (pic aside) and his wife Melva, were at the Huntsville Hamfest last week and I picked up the SPE 1.3KW amplifier from them. These are really fine folks and its great to do business with them. This is getting about as exciting as the lead up to the eclipse last Monday. 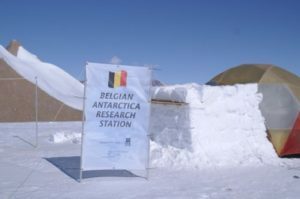 When we went across some notes, we found that, while studying a best location site to install its New Antarctic Station, a Belgian Team, went to Antarctica and set a Base Camp called Utsteinen camp which was fully operational for few months. It should have been interesting to know if some of the Team Members did operate Ham radio in the time, while they were there. Perhaps OR4TN can give us more details. If there was an operation from there, we will give Utsteinen camp a new WAP reference. 200% sure, ON5TN/OR4TN never operated from Utsteinen, only from PES, never any other place. He told me he visited a couple of other bases (like Novo) but never operated from there neither. I am sure nobody operated from this Utsteinen place. Operations only took place from PES. By clicking the gif aside, a deep report is still available to get some more information about the Belgian Utsteinen Camp. 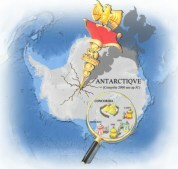 A brief history: The Republic of Belarus joined the Antarctic Treaty in 2006 and, in that same year, approved the National program for Polar research which is called “Monitoring of Earth’s Polar areas” ensuring activity of the Arctic and Antarctic expeditions for 2007­­-­2010 and for the period until 2015. Soon after, in 2008, it ratified the Environmental Protocol. In 2015, the National Antarctic Program of the Republic of Belarus was accepted as the 30th Member of COMNAP and Belarus did receive a residence permit in the Antarctic. According to the head of the Belarusian Antarctic Expedition Alexey Gaydashov, research vessel Akademik Fedorov approached the icy continent at the end of December 2016. On December 27-29th, 2016 personnel, material support and structures of the Belarusian Antarctic Station were successfully delivered by air transport from the ship to the location of the Belarusian expedition at Mount Vechernyaya, Enderby Land, East Antarctica. At the end of January 2016, the first portion of the national research station, a three-section module for control, communication and navigation, was assembled in Antarctica at a geographic position of 67°39” South, 46°09’ East. 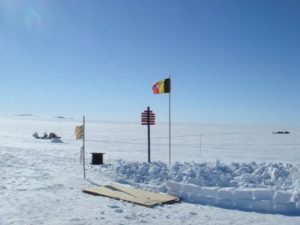 The main principles of activity of the Republic of Belarus in Antarctica are a system approach to the creation of the national Antarctic infrastructure and the organization of research, orientation of works for integration to international research programs, development of international cooperation in order to strengthen the Antarctic Treaty System, as well as development, consideration and recommendation to their Government of actions assisting in realization of principles and objects of the Antarctic Treaty. 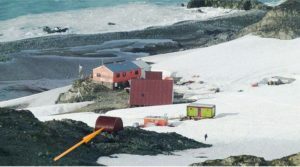 The deployment of the Belarusian Antarctic station is part of a subprogram of the government program on new and high technologies and machines in 2016-2020. The subprogram provides for monitoring polar regions of the Earth, creating the Belarusian Antarctic Station, and enabling the operation of polar expeditions. On last January 6th 2017, Belarusian polar explorers have assembled part of the second structure of the Belarusian Antarctic Station. 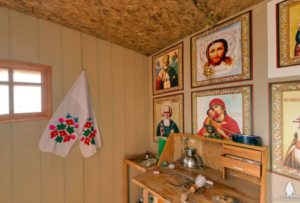 The works are not completed yet, but now , Belorussians intend to erect a chapel at Vechernyaya Station, as they plan to open their B ase in Antarctica by this year. Buromskiy, 66° 32’South, 93° 0’ East is a small island lying 0.6 km (0.37 mi) south of Haswell Island in the Haswell Islands group in Antarctica. About 1.2 km long and 0.9 km wide, it was discovered and mapped by the Australasian Antarctic Expedition under Douglas Mawson (1911–14). It was photographed by the Soviet expedition of 1958 and named for N.I. Buromskiy, expedition hydrographer who lost his life in the Antarctic in 1957. It lies 2.7 km north of Marbus Point, the site of Russia’s Mirny Station. The site includes Ivan Khmara’s Stone, with an inscribed plaque commemorates Ivan Khmara, a driver-mechanic with the first Soviet Antarctic Expedition, who died while performing his duties on fast ice on 21 January 1956. The stone was originally erected at nearby Mabus Point, but was moved to Buromskiy Island in 1974 because of construction activity at Mirny. 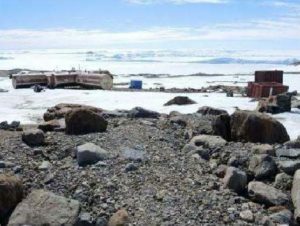 Ivan Khmara’s Stone has been designated a Historic Site or Monument (HSM 7) following a proposal by Russia to the Antarctic Treaty Consultative Meeting. 66° 32’South, 93° 0’ East , North of Marbus Point, Haswell Islands will be add to WAP-WADA Directory as WAP RUS-NEW. As soon as some Hams, maybe from Mirny Base will operate from there, a reference number will be given. India celebrates its 71st Independence Day with the Prime Minister Narendra Modi hoisting the tricolour from Red Fort. A huge Indian national flag has brought on a bridge across river Sabarmati to celebrate Independence Day in Ahmadabad, but what do they do in Antarctica? Bharati Station is the last Indian research Base built by India in Antarctica. Located at 69° 24’ 28” South, 76° 11’ 14” East, Bharati Station is one of the most modern Scientific Base in the Icy Continent. Actually a Radioamateur VU3LPL Rajesh Dabral is overwintering at Bharati Base, acting as Communication Officer. 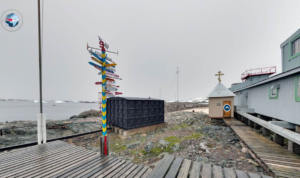 The arrival of the nieighboring Russian and Chinese station members and the friendship among the three stations reveals that Antarctica is a place for peace and friendship. I invite everyone of you to join us in the celebration. Full coverage of celebration of 71st Indian Independence Day at Bharati Research Station , Antarctica on 15, august 2017 is here, enjoy the view. WAP Staff, wish a very Happy Indipendence day to our Indian friends in Antarctica. John Landrigan KA4RXP will be active as KA4RXP/MM from on board of M/V Spirit of Enderby from Febr. 8 through March 8 sailing Antarctica. 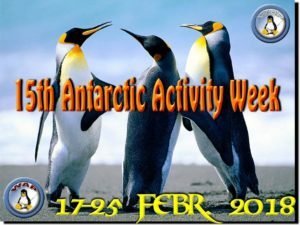 The operation time falls in between the 15th Antarctic Activity Week. Considering that John is going to operate from Antarctica, on board of a Polar ship listed on the WAP-WACA directory (therefore equated to an Antarctic base) a new reference WAP-283 has been issued to KA4RXP/MM. Just wish to remind the Chasers to book now, and get your WAP special Callsign. Join the very atractive yearly event, the unique WW since 2004! John Landrigan KA4RXP is planning the ultimate of all cruises; leaving New Zealand on Feb 8, 2018 going to McMurdo Station on the Ross Sea and returning on March 8 ; he will join the 15th Antarctic Activity Week. John wrote: -The 50-passenger M/V Spirit of Enderby is described as an ‘intimate’ exploration vessel with a reinforced hull. It apparently is pretty cramped and the bathroom is down the hall. The Captain and crew are Russian and I was advised to bring a potent surge protector . I have the Company’s permission to operate and they are going to allow me unrestricted access to the former Radio Room on the ship so that I can set up my Yaesu 897 and Pactor modem. I’m going to pay for them to install a used, I hope, marine HF antenna. I’ll bring an antenna of a type and brand to be determined. The ship’s generator is subject to severe fluctuations due to lights and equipment being turned on and off. I need suggestions for 220 volt surge protection/Uninterruptible power supply devices to protect my radio and computer equipment. I don’t know how frequently they blow light bulbs but it sounds like a potent damping system may be required. I am thinking the experts at this are probably in Invercargill, New Zealand where the ship departs from. I know that propagation is inversely proportional to one’s distance from the North or South Pole. I am thinking that a HF vertical and tuner would be significantly better than just my magnetically mounted Little Tarheel Screwdriver. What about some type of dipole as you often see on models and photos of old ships with a wire going from bow to stern masts? The ship’s manager did say I would need about 100 feet of coax from the antenna to the Radio Room. I am wondering if they were thinking of stringing up that type of antenna and running coax down a mast to the Radio Room. 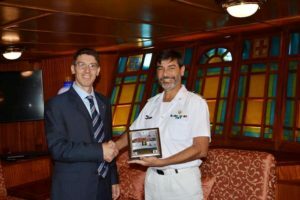 This cruise will be right at the time of the 15th Antarctic Activity Week and John KA4RXP/MM will be the first to operate maritime mobile during an AAW ! He will be on 40 through 10 meters if propagation will permit.John sais. 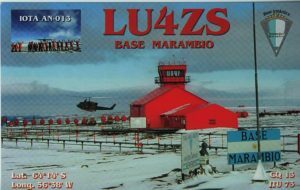 On last March 11, the Radio station LU4ZS at Base Marambio did start the 2016 Ham Activation, promoting the continuity of successful Radio-Amateur operation of the past 2013/14 Antarctic campaign, in which hundreds of Shortwave contacts were made worldwide. This year 2017, it has been planned to carry out another activation. Putting LU4ZS on the air from Marambio has as an additional motivation: the memory of the 50th anniversary of the First Transpolar Flight of Argentina. In 1965, the Air Force accomplished “Operation South”, designed and led by then-commander Mario Luis Olezza, in which a squadron formed by a Douglas C-47 and two Beaver single-engineers landed in the South Pole, and later the C-47 Continued flight to Mc Murdo Base, USA, completing the first double transpolar flight in Argentina. This operation opened the route that Aerolineas Argentinas used between 1980 and 2014 to fly to Oceania. 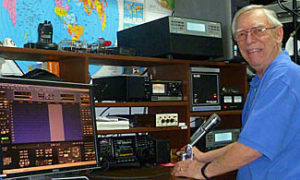 The operator of the station LU4ZS Marambio, is Juan C. Benavente (Picture aside), in charge of the Press Section and collaborator of the Technical Section of the DAA, with Ham license LU8DBS r, teacher and Graduate in Social Communication in the National University of Quilmes (UNQ). Video taken by a member of the “Uniendo Voices” Tam during his stay in Antarctica. 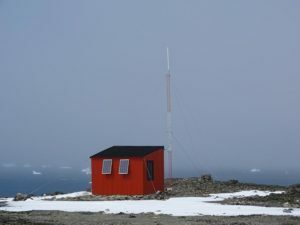 The UV project has incorporated the radio amateur work area, and a teacher of the project, Juan C. Benavente, carries out radio activations from Antarctica as the University Extension Project (PEU). 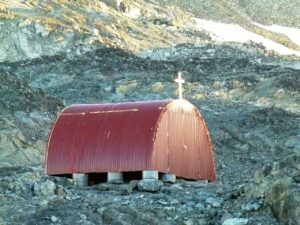 Soon the formal designation of the new Historic Site (HSMs) under the Antarctic Treaty. Another small step towards the creation of a new visitor center and a new plaque in Trieste (Italy), in view of the completion of the IPSSIA project (the institution of the first Antarctic Italian Historical Site). This is briefly, the story of the first independent Italian expedition in Antarctica dated 1976, and of the man who made it possible. The Polishs, who have a nearby science base, still call the site as Italy Valley. 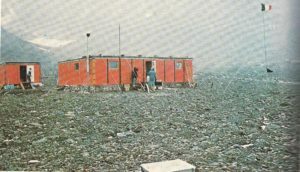 December 1975: 15 Italians did challenge the climatic conditions, economic difficulties and political inertia to build a Base in the coldest and inhospitable site of the planet, with temperatures that in the “hot” months reach 19 degrees below zero and during the long winter of the sub-southern hemisphere go down to -50°C. The Expedition arrives before the accession of Italy to the Antarctic Treaty, before the PNRA, the National Research Program at the South Pole. Renato Cepparo officially donate the newly founded Base to the Italian state. But the answer that comes from the cabinet secretary of the the Foreign Affairs holder, Minister Arnaldo Forlani, is as formal and cold as the wind of Italia Valley on a January day! 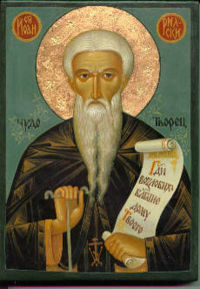 “While I express the greatest appreciation of the On. Minister of Foreign Affairs, I would like to inform you that the Italian Government intends to give the Base to the Argentine Government”. The reason “Guarantees for Future Research and Exploration Programs in Antarctica or Other Italian Scientific Missions”, did sound incomprehensible for Cepparo and that decision was difficult to accept. It was paradoxical –did comment Roberto Cepparo– Forlani proved himself to be a very small man, because to solve the problem with the Argentinians gave them the Base. Two years later, Flavio Barbiero, deputy leader of the company in 1975-76, returns to Italia Valley and makes the dramatic discovery: “Only the perimeter wall supporting the building remained in place. Everything else has disappeared in nothing” wrote Renato Cepparo in his memories. Stanislaw Miranski SP3BGD, send us a picture taken in April 1998. 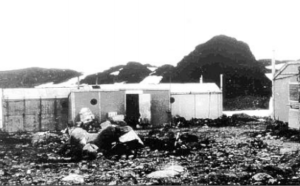 Here is the remains of Italian Antarctic Station “Giacomo Bove” – Italia Valley on King George island. 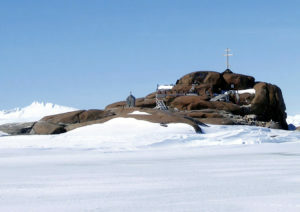 Polish Antarctic Stations Antoni B. Dobrowolski is located an Bunger Hills, 66° 16′ 30″ South, 100° 45′ 00″ East. 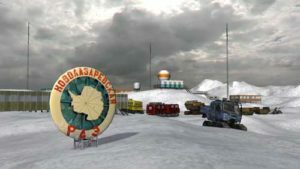 The Station with two buildings able to guest 8 people, was originally built by the Soviet Antarctic Expeditions the Oct. 16th 1956 and named Oazis then, on 23rd January 1959, it has been handed over to the Academy of Sciences of the Polish People’s Republic by the Soviet Academy. 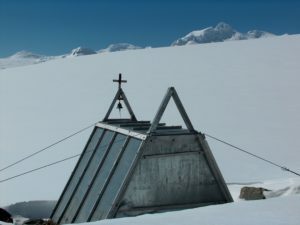 The Polish named it Dobrowolski Station in memory of Antoni B. Dobrowolski (1872-1954), geophysicist and glaciologist, who participated in the Belgica Antarctic Expedition (1877-79). Unfortunately, just few weeks later the Station has been closed. On February 22, 1979 (with preparations starting February 18) the station was reactivated for a short time, but an overwintering attempt failed, and the occupants had to be evacuated to Mirny Station (350 km to the west) on March 17 1979. About 7 kilometres from Dobrowolski, Australia has maintained the summer-only station Edgeworth David Base, named after Edgeworth David, since 1986. The concrete pillar erected by the First Polish Antarctic Expedition at Dobrowolski Station in January 1959 for gravity measurements, and the magnetic observatory at the station with plaque in memory of the opening of Oazis Station in 1956, are recognized as Antarctic Historic Sites Nr.10. Felix Riess (DL5XL) has been active as DP1POL/p for a short period of time from the Russian Station Novolazarevskaya (WAP RUS-Ø9) while waiting the ALCI flight from Novo Runway (WAP MNB-Ø6) to Cape Town. Novolazarevskaya ( 70° 47’ South, 11°49’ East) located at the extreme southeastern tip of the Schirmacher Oasis approximately in 80 km from the Lazarev Sea coast, is one of the most efficient Antarctic Stations operating from Dronning Maud Land Estern Antarctica and serving by its Novo Runway almost all the scientific operations from the Bases located in that area. An ice shelf with a slightly undulating surface resting against an ice cap extends north of the station in the vicinity of Leningradsky Bay. From the south, there is a continental ice sheet slope. DP1POL/p is though one of the new callsigns to be add to the WAP-WACA list. Thanks to Felix for this new one and thanks to DL1ZBO for his fast QSL service. 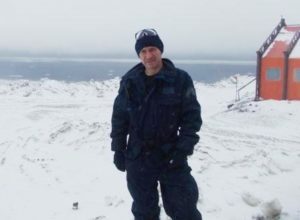 In an unprecedented operation, the Argentinean Armed Forces planned a medical evacuation of the second officer, electrician Héctor Bulacio, from the Orcadas Base to the hospital in Ushuaia. The 38-year-old man was in danger if thye did not move him; he had suffered fractures in his legs. A Rescue by sea was impossible because in winter time the Base is surrounded by 110 kilometers of ice field. After a videoconference with the naval hospital of Buenos Aires, his air evacuation was decided. A C130 Hercules aircraft took off from Río Gallegos, overflew Orcadas Base and by parachutes release medical supplies while a glaceologist of the Naval Hydrography Service was studying the best surface in which personnel could improvise an emergency landing strip for a Twin Otter. From Marambio Base then took off the Twin Otter that flew 720 kilometers from Marambio to Orcadas Base and, in an unprecedented event, did land on top of a glacier on an improvised runway. The Twin Otter transferred the non-commissioned officer to Marambio and from there the Hercules took him to Tierra del Fuego. 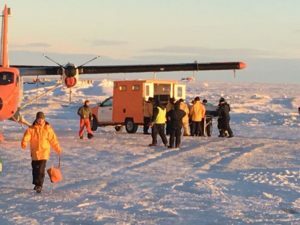 The joint work and successful flights of the Twin Otter and the Hercules despite the climatic difficulties at this time of year, allowed the Sub-official Bulacio to be conscious and stabilized in the Hospital of Ushuaia where he is “out of danger”. Antarctic Epic did start long ago with no way to communicate from Antarctica to the rest of the world, then Guglielmo Marconi, an Italian inventor and electrical engineer, known for his pioneering work on long-distance radio transmission and for his development of radio telegraph system, show the world the power of Radio transmission. Later one after WW1 & WW2 the Nations signed the Antarctic Treaty and the Antarctic Adventure begun. From that time, in the 50thies, the Radio was the unique way to be in touch from the newly built Antarctic Research Stations and therest of the world. 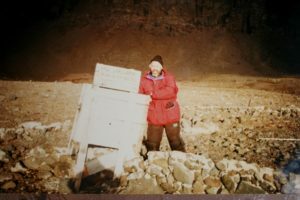 From that time, being a licensed Radio Amateur was a privilege of few technicians involved in the Antarctic Campaigns and being Radio Amateur, they were mostly communication officers. After the commercial duties and communication with their country’s Antarctic Departments, they had time to use the Base Equipments to talk to the family using other Ham fellows with Phone Patch to talk to their families, and to other Ham radio men, all over the world. A new era did start: DX with Antarctica and yes, a contact using a simple Radio transceiver from Antarctica to the rest of the world was, and is still amazing. The interest did grow fast and became a fever, a real excitement a real passion. 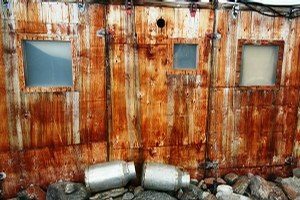 At that time every Antarctic Base, every Refuge, every remote camp was equipped with Transceiver for HF communications, antenna, generator or other power supply sources. Most of the Bases did install big towers and rotary antenna system, using amplifiers to allow more chance to send robust signals on the air. 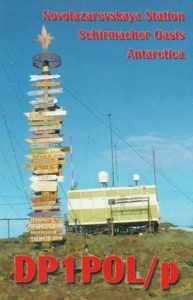 On the other side, the worldwide Ham community, hunting contacts with Antarctica, did the same; all involved in a kind of passion for the so called very long distance call, known as DX. 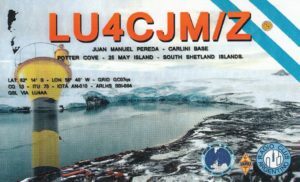 QSL confirmation for a contact with an Antarctic Station was, and still is something to exhibit. 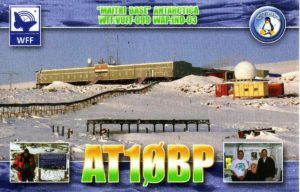 On the meantime the first websites dedicated to the Antarctic Chasers did start to be online, as for example WAP-Worldwide Antarctic Program www.waponline.it since 1979. On it several features such as the most accurate Dbase (WAP-WADA) of Antarctic Stations, Remote Camps, Refuges, Huts and permanent settlements sorted by Country, Lat & Long and exact location. Another huge Dbase (WAP-WACA) has been built; it lists over 4500 different callsigns in use or used in the past in Antarctica, Sub & Peri Antarctic areas, all available for free on line. Time goes fast and we did enter quickly in the era of Internet. Very few young boys are still excited or fascinated by Ham radio, even if in Antarctica HF & VHF communications are still important and very much used to keep and establish contacts with remote field camps, with the researchers working outside, and with the helicopters or aircrafts to the main Stations or Bases. Radio is probably considered by the young generation somewhat obsolete, something surpassed, something out of fashion … nothing could be more wrong! Radio remains a safe option in case of emergency, when internet black out, when other communication devises may fail, the radio remains, it does not need repeaters, as the radio waves propagate in space! 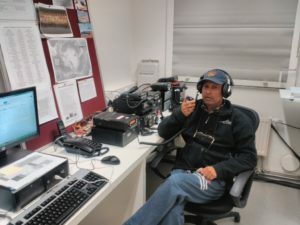 Bhagwati Prasad Semwal is a good experienced Ham Radio Operator, licensed as VU3BPZ, and operating from Antarctica since 2001. 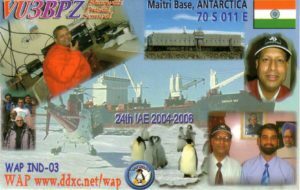 Bagwati Prasad (Ex-20,24,29th, Maitri & 31th,Bharati, WOT )has been active from several Antarctic sites as VU3BPZ/P, VU3BPZ/RI1, AT1ØBP, VU3BPZ/MM and actually he is part of the 35th ISEA (2015-2016) based at Bharati Station (69°S, 076°E), Larsemann Hills, Antarctica where he operates as 8T2BH. ATØA operating from Daskshin Gangotry Base in the 8Øties, AT3D, VU3HKQ, VU2AXA, VU2JBK, VU3RAY, VU2DMT who have been active from Maitri Base, Indian Bay and Bharati Stations giving a huge number of Antarctic chasers worldwide, a chance to log all the 3 main Indian Scientific Stations in their log with different callsigns. Actually propagation is not in a good shape; solar flux, sunspot and A index are at a low level, but taking care of the rare openings on different bands, is possible to establish good contacts with a range of 10-15.000 km. What is actually missed in the Indian Bases is a rotating Log periodic beam antenna, able to cover all HF bands in case of internet black out or emergency, a liner amplifier in order to ensure a robust signal in case of lack of propagation. This web site gives an idea to a Radio operator which band of the HF Band plan is the best one to be used and percentage of chances to make good contacts. Actually conditions are very low and infact just the bands from 18 to 24 MHz offer 40% of possibility to make contacts. 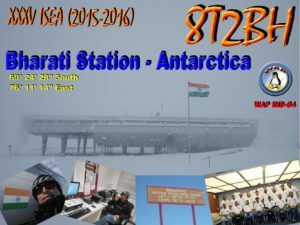 During the 35th Indian Antarctic Scientific Expedition (2015-2016) we did a lot of propagation testing on different bands from 10 mts through 40 mts SSB and we noticed a very fast changing conditions and so far only about 100 QSOs have been made as 8T2BH from Bharati Station, even if with 15 different Countries. Nothing to compare with 2011-2012’s season when the QSOs made were over 1000, or from Maitri Station where conditions were so much favorable. Now it could be propagation will change, no more Auroras or magnetic storms which are causing terrific noise on the band. I hope to be able to keep uphold the Indian pride and using the privilege to be here in Antarctica for the 5th time as Ham Radio and Communication Officer to fulfill the many requests for QSOs by Radio amateurs operators around the world. The station was established on 26 February 1977. It is managed by the Polish Academy of Sciences, and its main research areas include marine biology, oceanography, geology, geomorphology, glaciology, meteorology, climatology, seismology, magnetism and ecology. The sixteenth edition (release 1.30) of WAP WACA & WADA Directories are available to download. Just go to the “Download Section” and feel free to save them both on your PC. 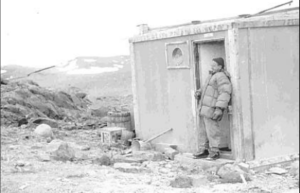 WADA Directory lists 887 Baes, Camps, Huts, Refuges and Stations in Antarctica since 1945. Also a new release of the Antarctic & Peri Antarctic Lighthouses has been issued on July 31 and it’s available to download as well; just go to the Lighthouse page.